Just finished off all the illustrations for the Spurn Bird Report and Yorkshire Bird Report which gives me a bit of a lift as I have all the time now to concentrate on the books. 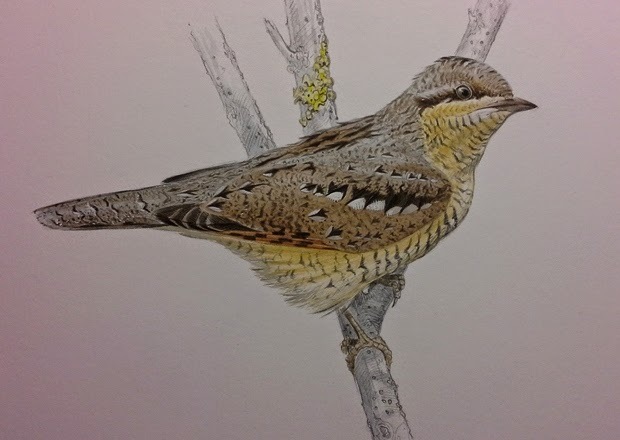 I've attached a Wryneck which will be reproduced in Spurn Wildlife, this is a quick photo of the painting! now to get on with the books! will post more on those next week!